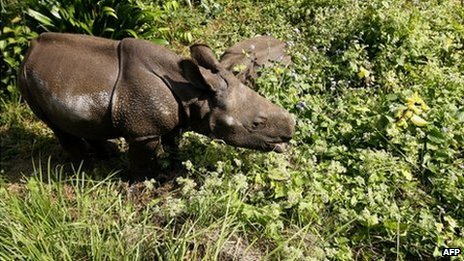 Drones to protect Nepal’s endangered species from poachers | "Global Possibilities"
Conservationists in Nepal will soon start using special drones as part of efforts to protect endangered species. The pioneering pilotless aircraft have been developed by the global wildlife organisation, WWF. They have had some initial use in Indonesia and talks are underway to introduce them elsewhere, including in Tanzania and Malaysia. Developers say they are cheap to buy and run and could help conservationists across the developing world. In Nepal, endangered species, including rhinos and tigers, are suffering from the combined effects of poaching and habitat destruction. The drones can address both. Poachers often slaughter the animals inside Nepal’s national parks. 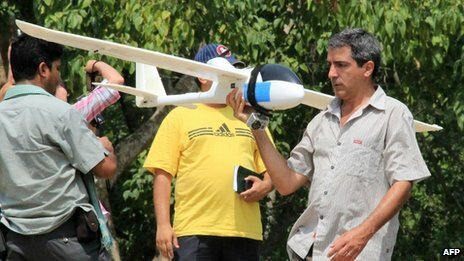 “We hope these drones will be useful in detecting poachers as they enter the parks,” Dr Serge Wich, a biologist with the Anthropological Institute at the University of Zurich and one of the innovators behind the project, told the BBC. The small-scale, remote-controlled drones are still being refined. They are light enough to be launched by hand and fly a pre-programmed route of up to 20km (12.5 miles), filming the ground below with a stills or video camera. They are also inexpensive – each drone costs about $2,500. Running costs are low, too. They are driven by electric batteries which can be recharged from the grid in about half an hour. That should make them affordable for conservationists in developing countries where budgets for wildlife protection tend to be modest. Test flights have just been completed in Nepal. Next comes training. Operational use should start in a few months’ time. Success in Nepal could help to kindle interest elsewhere. The drones have already been used in Indonesia to track orangutans and other vulnerable species and to monitor deforestation. Negotiations are underway to use them in the Malaysian state of Sabah, as well as in Tanzania. Drones may also help with the broader issue of habitat destruction. Regular flights can monitor changes to park boundaries, for example, and help in the long-term battle against encroachment.